The Writers’ Roundup is on vacation until I reconnect with my Google Reader in late February. I need a break from RSS! If you really miss it, you can always browse old Writers’ Roundups; they may be old, but they’re still bursting with information. View from the ferry to Ometepe. Want more travel updates than you’re getting here on the blog? Check out my Twitter feed. You can easily read my updates there even if you don’t use Twitter. Enjoy the hike, it’s AMAZING!!! i did that hike about a dozen years ago. if i remember correctly, you have to wake up real early to make it back before it gets dark. What an awesome pic. I have some friends who just sold their home and are going to move to Nicaragua sometime this year. 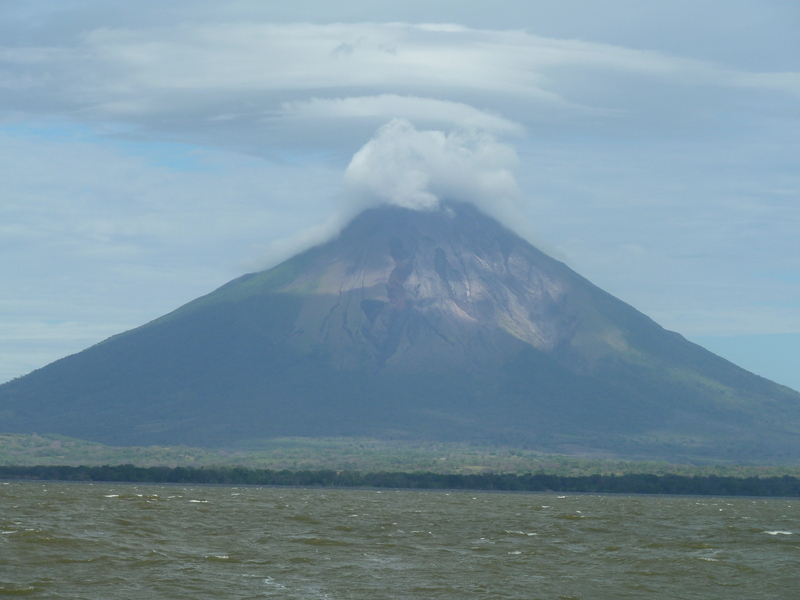 I never even considered Nicaragua as a place to move or at least travel to until I went online and did some research. What an amazing place it is. I’ve read that originally the Panama Canal was supposed to go through Nicaragua but word of the volcanoes there caused the U.S. to look farther south. This was supposed to be an exaggeration but this picture looks pretty serious. Please post plenty of pictures of your hike and I hope your shoes don’t melt.